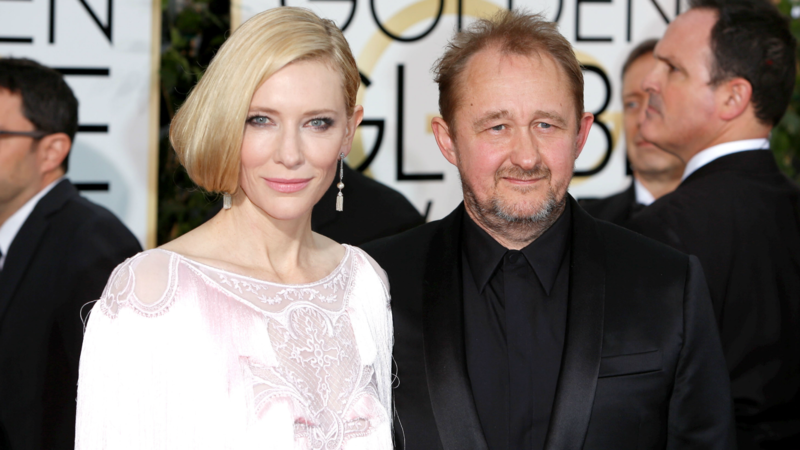 Is Cate Blanchett’s husband cheating on her or is he just a wobbly drinker? Cate Blanchett’s husband of nearly 19 years, Andrew Upton, was just photographed snuggling up to actress Harriet Dyer, and — not gonna lie — it ain’t pretty. Upton, an Australian film director and writer, was seen leaning heavily on Dyer as the two came out of a Sydney bar this week, and witnesses say the two engaged in conversation all evening while playing pool, according to the Daily Mail. Sources also claim Upton and Dyer were extremely touchy-feely throughout their evening together, but left in separate cabs at the night’s end. Naturally, the paparazzi photos of Dyer and Upton have sparked cheating rumors, and in all honesty, the pics are pretty incriminating. The level of intimacy pictured is not appropriate for that of a married man. However, it also looks like Upton is severely inebriated — to the point he can’t even stand on his own. We’d never want to make excuses for a cheating spouse, but getting drunk and being a little flirty does happen. Most of us have had nights we seriously regret (or can’t remember), and it seems wrong to jump to the conclusion Upton is a wild philanderer based on a few photos from a night at a bar. Meanwhile, back at the ranch, Blanchett loyalists are left scratching their heads at the idea that anyone in their right mind would ever even consider engaging in any act even remotely close to cheating on Blanchett. We’d wager to say Upton is probably pretty ashamed of the photos hitting the internet, and to feel even more guilty, he’d have to look no further than the adorable footage of Blanchett talking about falling in love with him on Ellen last year. What do you think? Did Upton cheat on Blanchett, or is it just a big misunderstanding?